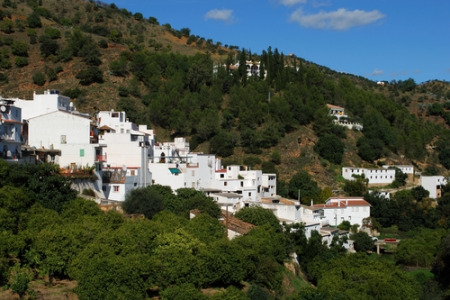 Tolox holidays transport you to a beautiful hillside village forty miles inland from Malaga on the Costa del Sol. Lying in the Sierra de Nieves National park, a fertile area surrounded by hills and mountains, holidays to Tolox offer peace and tranquility, commodities that are not often found in coastal resorts. Holidays in Tolox can be taken at any time of year as the summers are long and hot and the winters are mild. April to October are the busiest months when the temperature rises to the low thirties at the height of the season. In winter, with snow on the mountains, Tolox makes a pleasant base for skiers. Our low cost Tolox holidays appeal to couples of all ages as well as ramblers and golfers. The latter group have a choice of superb courses. Those who wish to combine a traditional village holiday with days at the beach will find car hire advantageous. If you are looking for a relaxed retreat in an area of great natural beauty, you may be tempted by our Tolox holiday offers. They offer great value as our commitment to quality and service is never compromised. With good accommodation, and restaurants catering for most tastes, our bargain Tolox holidays are sure to please. For further details and to view our best Tolox holiday deals, please use the search facility.